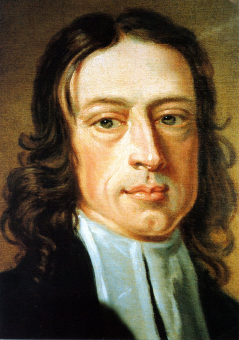 Of all John Wesley’s sermons, “On Zeal” is among the short list of ones I never tire of reading and reflecting upon. In it, he sketches out what he calls the connected system of Christianity, which he imagines as either a pyramid or a set of concentric circles. In each circle is an object of the proper zeal – or fervent love – for the Christian. The Christian, Wesley writes, should have zeal for her church. She should be zealous for the works of piety. She should be zealous for the works of mercy. She should be zealous holy tempers. She should have zeal most of all Christian love itself. In the sermon Wesley writes about the nature of zeal and what it rules out of order – anger, for instance. But he also offers pastoral advice. If we wish to climb to the highest heights of Christian zeal or enter the inner circle, he advises we start with the lower and outer reaches. The place of the church in Wesley’s plan is interesting to me. On the one hand, it is the lowest object of our zeal. He urges us to be more zealous for piety, mercy, holy tempers, and love itself than for the church, but zeal for the church – and in particular our local church – is a first step toward proper and full Christian zeal. It is the entrance into the rising staircase that brings us to love of God and neighbor. Something in me wants to balk at that notion. I’ve been part of dysfunctional churches. I’ve been around church people I cannot stand. I’ve been disgusted by church politics and hypocrisy. How can that be the stairway to heaven? But that is the point isn’t it? How can you love the God who you cannot see if you do not know how to love the people sitting in the church pews and committee meetings who you can see? We are pulled together in these dysfunctional communities full of sinners and saints to help us learn how to love each other. The church should not be the highest object of our zeal, but if we have disdain for the local church, Wesley would argue, we have bar our own way to the highest and best love. In the sermon, Wesley does not address the problem of truly toxic local congregations or pathological pastors. I suspect he relies on the episcopal oversight of the church to correct such problems. Zeal for the good of the local church also includes working to heal the diseased local congregation as well. It would be easy to dismiss his counsel regarding the local church because his setting and ours are so different. I’ve learned not to trust blindly such easy urges. They are not always prompted by God. As always, I find Wesley challenges me and touches just the places where I need some prodding. Posted on July 12, 2011 by John MeunierPosted in Church, LoveTagged john wesley, Local church. Next Next post: Can clergy believe anything we want?